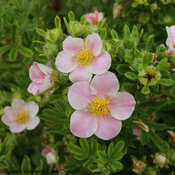 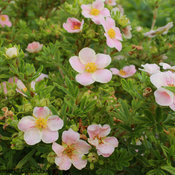 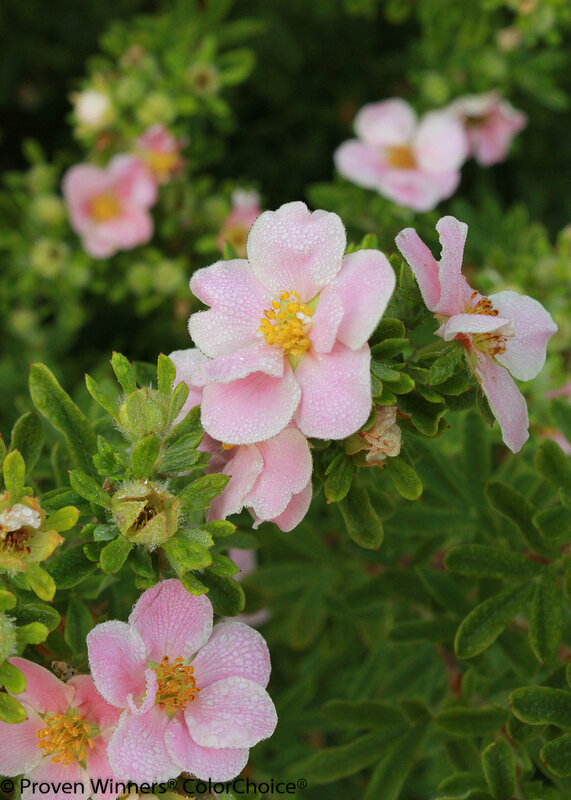 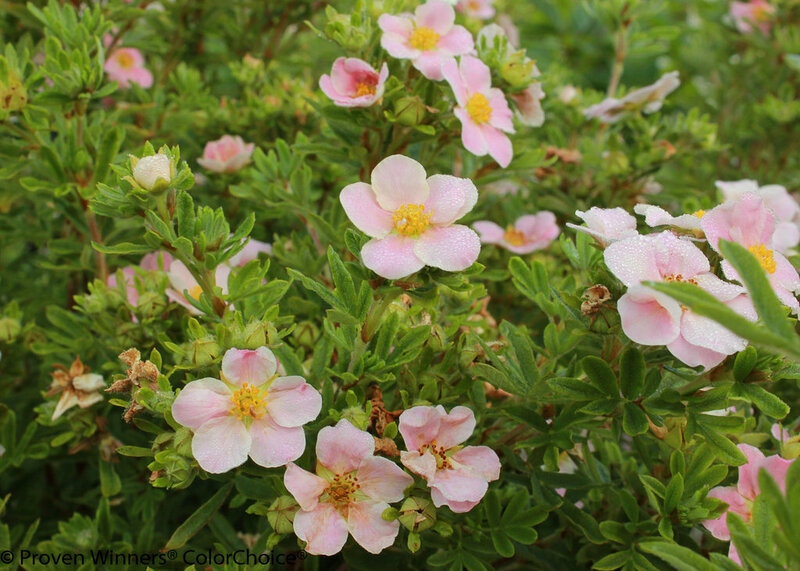 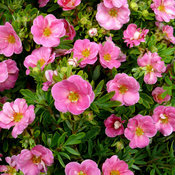 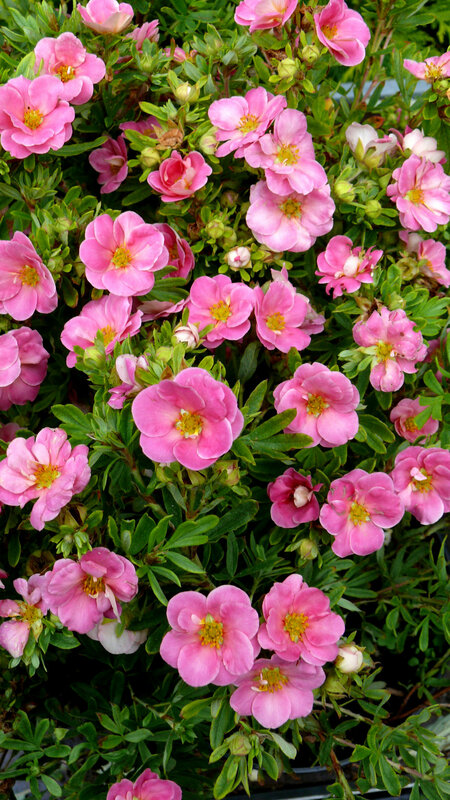 The clear pink, semi-doubled flowers hold their color longer than other pink potentillas, although they may still fade under intense heat. 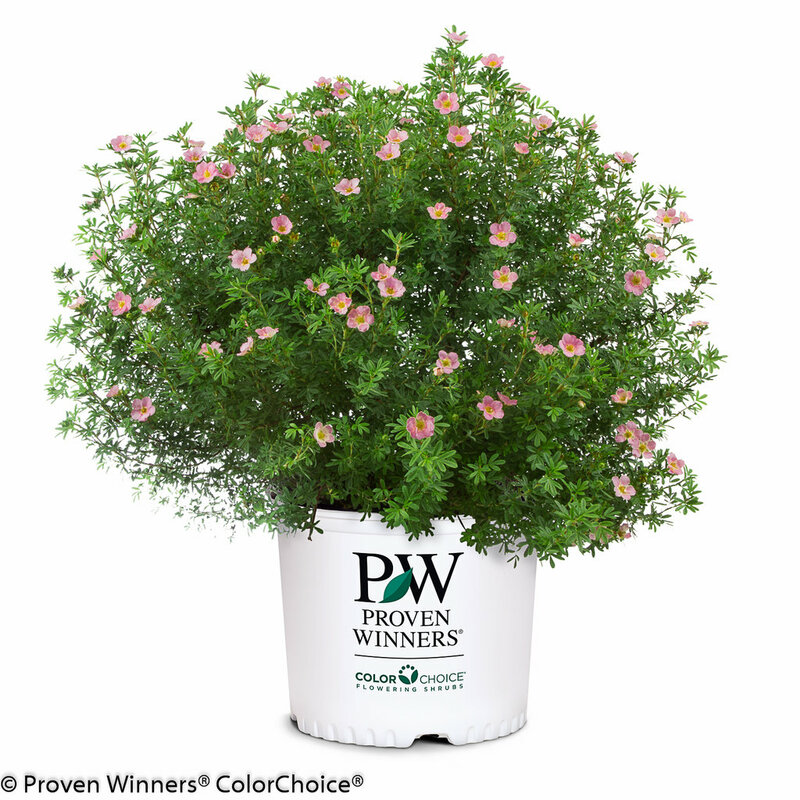 This is an excellent choice for cooler climate gardeners who want low-maintenance flowers all summer long. 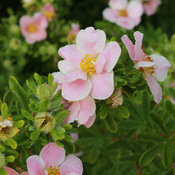 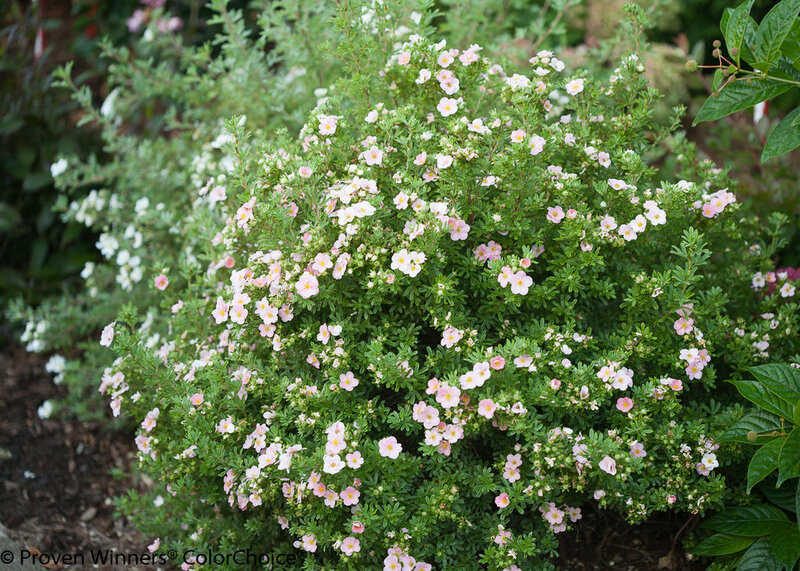 This is a very durable landscape plant, and is an especially good choice for cooler climates. 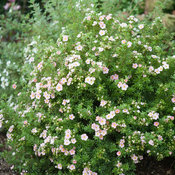 Use it for mass plantings, or incorporated into mixed borders. Prefers moist, well-drained soils but will adapt to dry conditions once established. 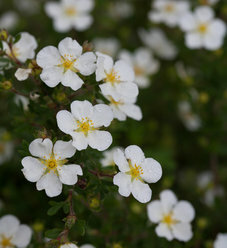 Prune about a third of the branches to the ground in late winter.